On a 7-mile stretch of Interstate 65 just north of the Tennessee border in Simpson County, the landmarks and road signs say a lot about what drives Kentucky’s economy. 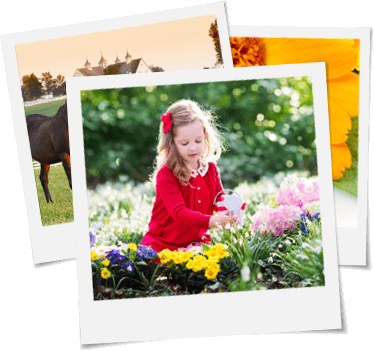 Here, you’ll find Kentucky Downs racetrack and Kenny Perry’s Country Creek Golf Course. Dueling Grounds Distillery is just up the road, and travelers are encouraged to enjoy the caves and lakes of southern Kentucky. 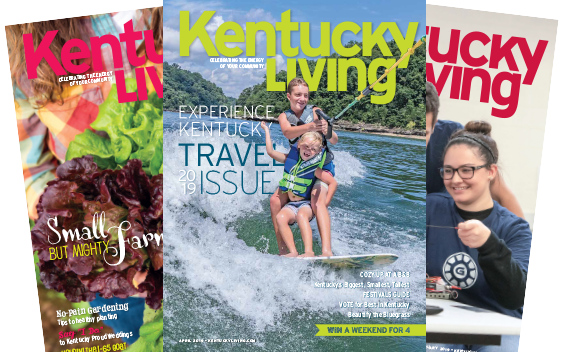 But, those same I-65 drivers might just as easily miss a major economic development story of Kentucky that also comes alive on that same stretch of highway. Now under construction is a 101,000-square-foot manufacturing plant that—by this fall—will join the ranks of more than 500 automotive industry facilities across Kentucky. Taeyang Metal Industrial Co. Ltd., which makes fasteners and cold-rolled steel products, announced in November its plans to invest nearly $15.6 million and create 76 full-time jobs at the new plant. 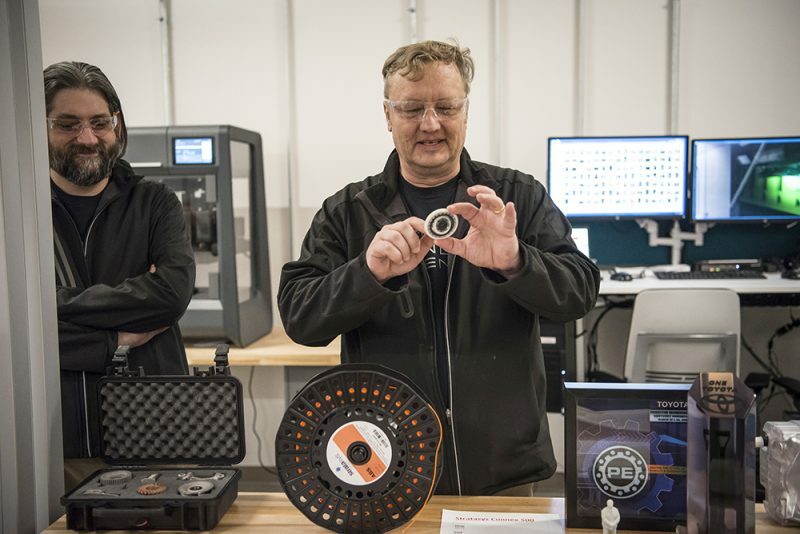 Taeyang’s automotive neighbors in Franklin include a company that makes stabilizer bars and another that manufactures anti-vibration and noise reduction parts. Across the commonwealth, the auto industry employs about 100,000 people and contributes $14 billion annually to the state’s gross domestic product. In 2016, Kentucky plants exported $5.5 billion in vehicles and parts. 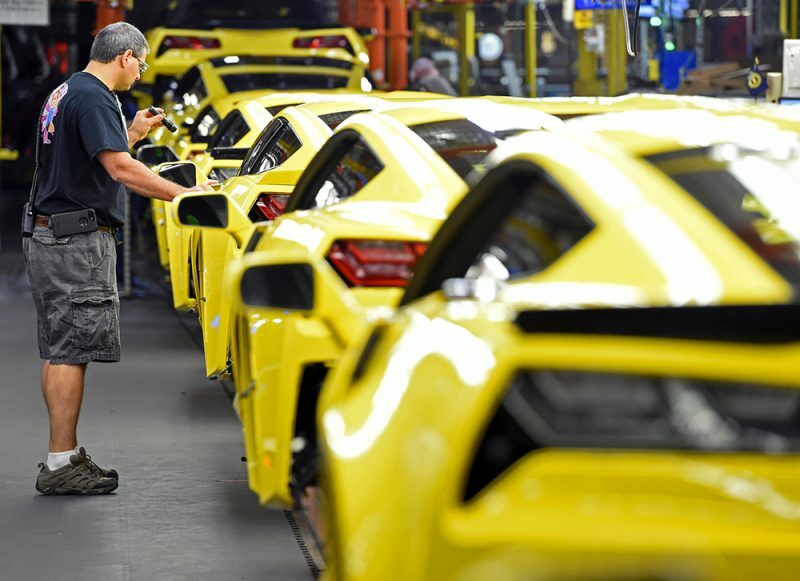 “At the end of the day, we’re a manufacturing state,” says Dave Tatman, executive director of the Kentucky Automotive Industry Association (KAIA). Kentucky’s auto manufacturing legacy dates back to 1913, when Ford Model Ts first rolled off a Louisville assembly line. In Kentucky today, Ford’s two Louisville plants manufacture cars, SUVs and Super Duty trucks; General Motors makes Corvettes in Bowling Green; and Toyota produces five different vehicles in Georgetown, including the Toyota Camry, America’s best-selling car since 2000. Toyota external affairs analyst Ashley Chatham says full-time employment is at “an all-time high.” Of its more than 8,000 employees in Georgetown, 1,209 of the positions were new in 2017. Add the work created at Kentucky parts plants due to Toyota’s business, and the company claims responsibility for 15,296 jobs—a number higher than the population of many Kentucky towns. Of the more than 350 companies in the U.S. that supply parts and commodities to Toyota, more than 100 are located in Kentucky. 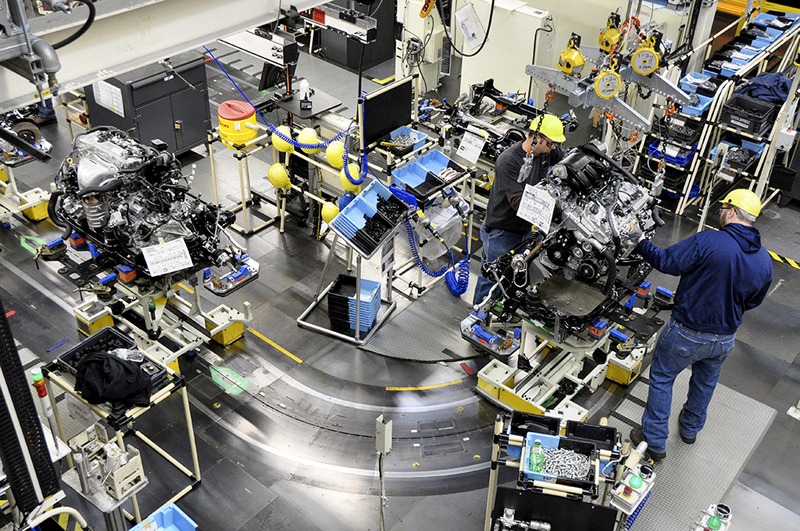 Kentucky’s automotive success is tied to both workforce training and co-location to suppliers. “Our automotive industry is clustered around the I-65/I-75 corridor between Cincinnati and all the way to Tennessee,” Tatman says. Take the Corvette plant, for example. Just off I-65, it employs 1,004 people, paying $88.58 million in wages annually. Kentucky ranks third nationally in production of passenger vehicles and first in vehicles produced per capita. Thanking Taeyang for investing and creating jobs in Kentucky, Governor Matt Bevin says the global company’s decision to locate here is part of a larger success story. “We are confident Taeyang will find success in Simpson County, thanks to the pro-business environment that exists across Kentucky,” Bevin says. 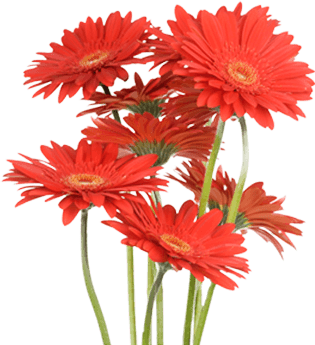 The Taeyang plant is in the service territory of Warren RECC, which worked with the Tennessee Valley Authority and local and state officials to market the 30-acre site at the Henderson Interstate Industrial Park. 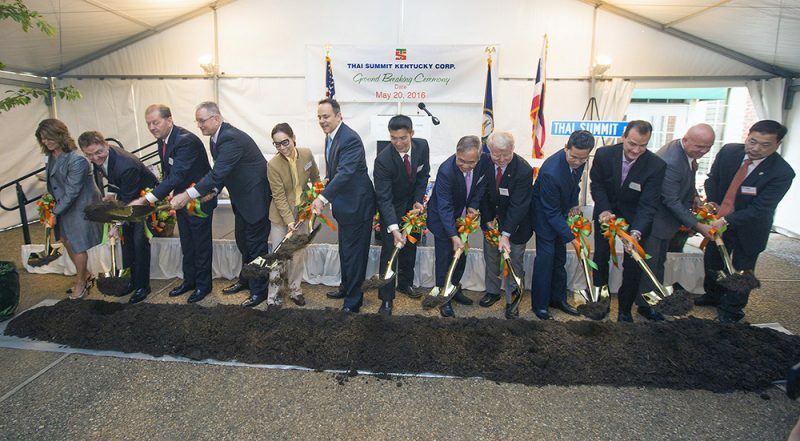 The Bardstown and Nelson County economies will also get a boost from a new manufacturing facility—Thai Summit will open a stamping and assembly facility there early this year. Another was the good relationship with Salt River Electric. He says he expects the company’s energy load to be 2-2 ½ megawatts when fully operational, which would make it one of Salt River Electric’s top 20 customers. Auto industry jobs are considered especially valuable to state economies because of their especially high “multiplier effect.” From suppliers to restaurants feeding the workers, auto jobs spin off more economic activity and more jobs. A study prepared for KAIA by the University of Louisville’s Urban Studies Institute concluded that for every 100 jobs in light truck and utility vehicle manufacturing, a total of 424 jobs are supported in the broader economy. 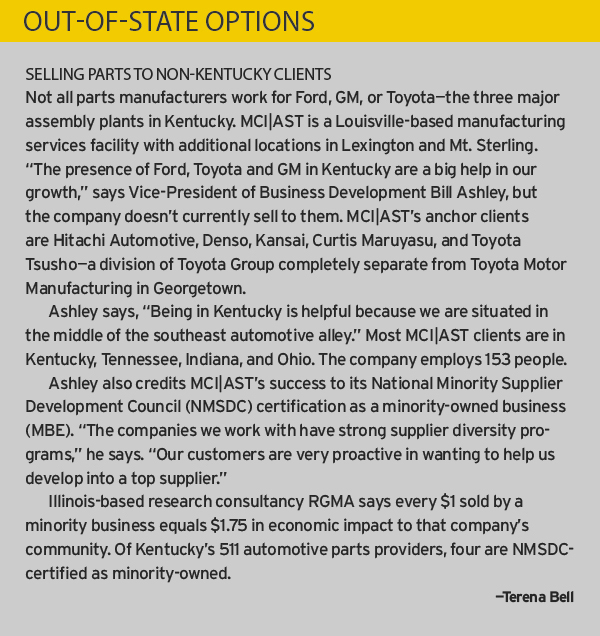 GM also buys parts and supplies from 24 Kentucky businesses, each creating jobs of its own. Warren County—where Bowling Green is the county seat—hosts 28 automotive factories; three are expanding. Between January and September, Bilstein Cold Rolled Steel LP, Kobe Aluminum Automotive Products LLC and Lord Corp. announced $78.8 million in new money that is expected to create 209 jobs. New employers are creating positions, too. In April 2017, Braidy Industries made a $1.3 billion commitment that Bevin says “has the potential to be as significant as any economic deal ever made in the history of Kentucky.” The plant, which will manufacture rolled aluminum for the automotive and aerospace industries, is projected to bring 550 new jobs to Greenup County. “The challenge we have in our state … is workforce,” Tatman says. “We have so many open jobs, but we’ve spent the last two generations telling American youth that the only path to success is to go to college and get a degree and go to work in an office.” After years of saying “don’t work in manufacturing because it’s dirty, dark and dangerous,” Tatman says jobs now sit open statewide, waiting for people to work them. In southern Kentucky, for example, there are currently 5,500 unfilled positions.